Finding a reliable, ethical company can be difficult. When I am shopping for a great local service or product, I ONLY want to work with the best! Below are some top local companies in their chosen professions. Unlike other advisors who make referrals, I don't receive any form of compensation by you doing business with them. Everyone's Financial Plan requires basic insurance needs (auto, home, life), and the type of agent you decide to use can make a difference. Middle TN Insurance Group is an INDEPENDENT insurance agency, meaning they don't just represent ONE company, but MANY of the top companies in the marketplace. This allows them to locate the best rates and then to place you with the insurance company offering the best coverage to meet your unique needs. Contact Middle TN Insurance Group to get an insurance quote now. Kevin is a partner THW and a native of Middle TN. 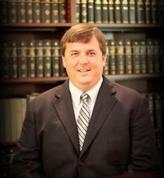 He focuses on individual and small business tax planning and preparation. Totherow, Haile, & Welch, PLLC is an accounting and consulting firm based in Middle Tennessee. They have been providing services to individuals and businesses for over 50 years. Their mission is to provide exceptional accounting, auditing, tax, estate planning, and management assistance services to their clients. We strive to build a business that is honoring to God by helping develop families and having a positive impact on everyone we have the pleasure to serve. We hold a passionate commitment to changing the way people view mortgage lending. We are the best mortgage team in Middle TN by being the most knowledgeable, aggressive, and trusted advisers helping our clients finance their dreams and make a smart mortgage decisions. Contact the Sparkman Team Today.